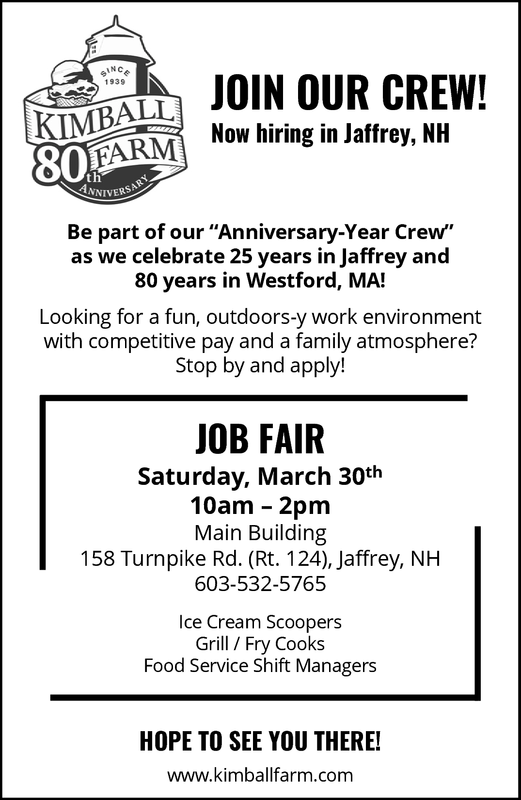 Be part of our Anniversary-Year Crew as we celebrate 25 years in Jaffrey and 80 years in Westford, MA! Looking for a fun, outdoors-y work environment with competitive pay and a family atmosphere? Stop by and apply!